Traces of Tracy Gregory: Energy and Dreams... and Reality That Sits in The Shadows. Energy and Dreams... and Reality That Sits in The Shadows. I grew up in Alaska; the land of the last frontier. It really is a place that captures your imagination. The wide open space gives leave for your mind to imagine unlimited possibilities. Alaska is probably where I gained the ability to think freely and use my imagination. Alaska holds a fascination for many people today. Look at the programs on TV that promote and sensationalize the still untapped land. There are many places to see and much space to conquer, however besides the challenge that nature brings, you will find so much peace. Each time I return I feel the sensation of fulfillment, my body absorbs it like a sponge. There is an energy radiating from the earth that few taps into. We are all made up of energy. It pulses through our body and we absorb it into every cell in our being. In Alaska, you can sense the current flowing through your veins. When you sit and listen, you can feel the peace as it settles into your soul. As I mentioned, I grew up in this land of mystery. My mom is still there. My blog today is personal as I reach out to those of you who have connected to my writing. Sometimes I think the people that read and study the works we create are the ones that understand us the best. So I reach out to you in hopes you will spread the word and assist me in my endeavor. 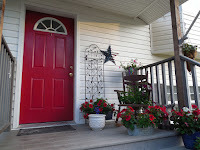 My mom has decided to sell her little home in Soldotna. It is a beautiful 4-acre lot secluded from town, yet close enough to be convenient to shops and hospital. Part of me hates to see her sell, but as she gets older, it would be a comfort to have her close. We are hoping to have the house sold by the end of August of this year. I know it may be a long stretch because I know some of you are not even in the country. If you don’t mind assisting a daughter and a mother ready to sell, I would be very grateful if you could pass along the information. We have a website set up with information relative to the listing If you go to the site you will see pictures of the home. We all long to be close to loved ones and family as we get older. I am hoping there is someone out there that will find a connection to this little gem and allow my mom the opportunity to be close to her family in her senior years. Thank you all for supporting my work and giving me the opportunity to entertain you. I also thank you for helping me to assist my mom.